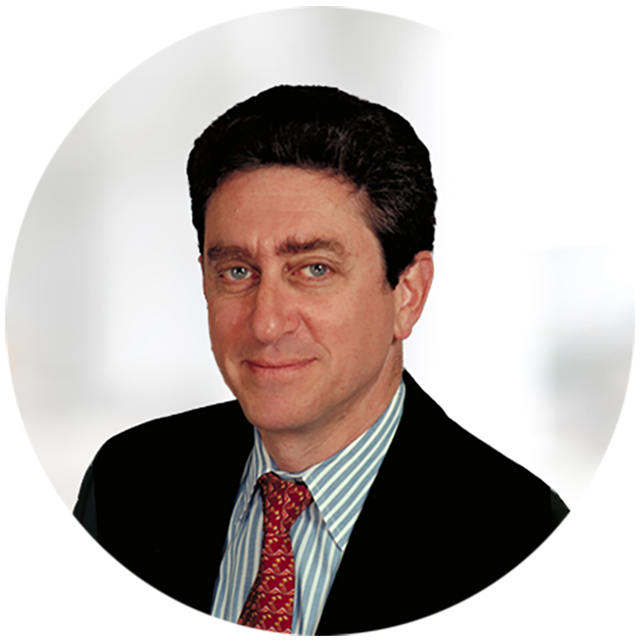 S&OP, sometimes called Integrated Business Planning, is a management discipline that enables executives to assess and manage tradeoffs among multiple interdependent business considerations: demand and supply market opportunities, customer service, inventory investments, production capabilities, supply availability and distribution constraints. The objective is to produce a plan that best fits the company’s strategy and opportunities. When asked their main complaints about the process, participants most frequently pointed to data: 38 percent said that the necessary data isn’t available; another 30 percent said that their data isn’t accurate. One consequence of bad data is that the resulting plans aren’t completely accurate. Only one-third (31%) characterized their S&OP as very accurate or accurate, while half (49%) described theirs as somewhat accurate. Somewhat accurate planning is like somewhat accurate juggling: There are a lot of dropped balls. The third-most common complaint is organizational. Nearly one-third (30%) said there isn’t enough participation by stakeholders. Ideally, S&OP should involve broad participation across key business functions such as sales, marketing, manufacturing, logistics, finance and the senior leadership team. The last is critical because without senior-level support it’s difficult to have full collaboration in the process. And collaboration is essential for achieving a well-managed process. 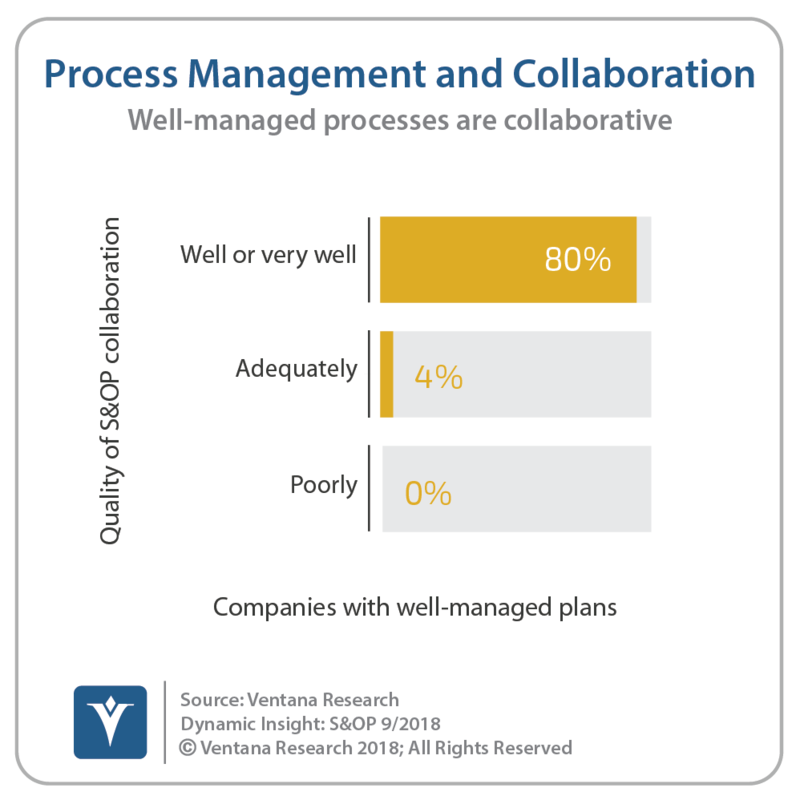 The research finds a correlation between the two: Most organizations (80%) that collaborate effectively or very effectively in S&OP manage their S&OP process well or very well, compared to just 4 percent of those that collaborate somewhat effectively and none that have poor collaboration. An executive-level focus on S&OP also correlates with process quality: 73 percent of companies where executives communicate strategy and objectives related to S&OP view their process as being managed well or very well compared to 11 percent that communicate only adequately and none where communication is poor. Companies plan in order to achieve results, so the planning and review part of the process should be action-oriented. Unfortunately, only one in four (25%) participants said that they can drill down right away to uncover details about the issues and opportunities that were behind the results. Being able to drill down right away enables an S&OP working group to better understand what needs addressing and, by weighing the potential outcome of different scenarios, arrive at the best next steps. Another 16 percent said they are able to finish drilling into results within an hour or two of the meeting, which may be adequate to generate an action but is far from ideal. The rest take longer and therefore are likely to be slow in responding to opportunities and issues. How frequently companies review their S&OP plans also is correlated with how well they manage their process. More frequent checks of actual results versus the plan is likely to produce better results because deviations can be spotted and addressed sooner. Two-thirds (64%) of those that review their plans weekly or more often also said their company manages its S&OP process well or very well. Only 30 percent that do the review monthly or twice a month gave that assessment. Almost none (3%) of the companies that review quarterly or less frequently reported having a process that’s managed well or very well. Companies need to assess how well they handle sales and operations planning. S&OP is a discipline that can improve the operational effectiveness and financial efficiency of a product company. It’s essential for companies that have even moderately complex supply chains, frequent changes in products or long lead times, or that outsource all or part of their production to third parties. Finance organizations must be involved in sales and operations planning to ensure that all costs are accurately reflected in optimizing production decisions. Moreover, as interest rates rise the cost of holding inventory will increase and therefore will be a more significant constraint in creating plans. Companies need to assess their sales and operations planning from a perspective that considers their people, processes, information and technology. Senior-level involvement is often necessary because almost always there are change management issues and the need to alter well-established but likely obsolete methods and practices. Clean data and the control of that data is essential to avoid garbage-in/garbage-out planning. I recommend that all midsize and larger companies look into using a dedicated application rather than spreadsheets for managing the S&OP processes. Almost always, spreadsheets lack the power and flexibility to do the job well. For those who wish to do a quick assessment of their own company’s sales and operations planning, the Dynamic Insight can be found here.